Formally dubbed Wanda Vista, the $950 million tower will seek LEED Silver certification and is anticipated to open in 2019. 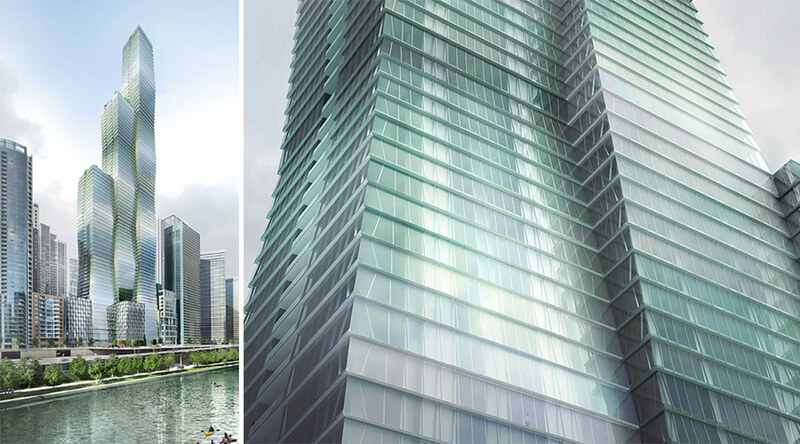 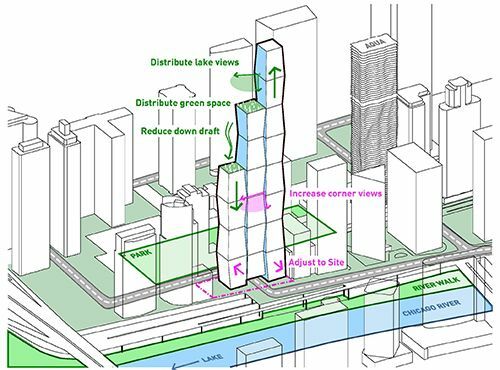 The new renderings reveal a continuum of blue-green glass along the building’s vertical profile. 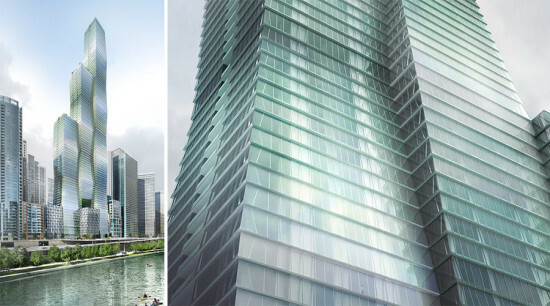 Gang said Monday the design is meant to mimic the reflection of light off Lake Michigan. 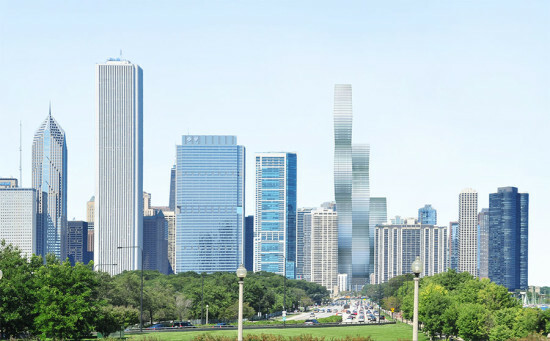 The new design retains the massing of three tall, thin towers stepping toward the East, but gone are the balconies along the north and south facades. 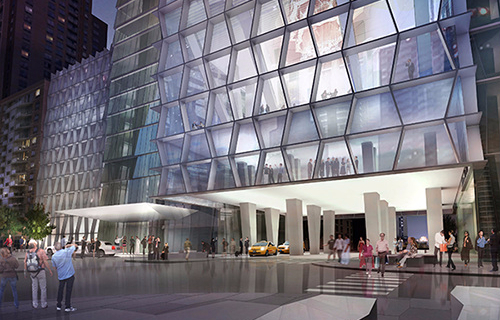 With more than 1.8 million square feet of real estate, the development will include 405 luxury condominiums and 169 hotel rooms. 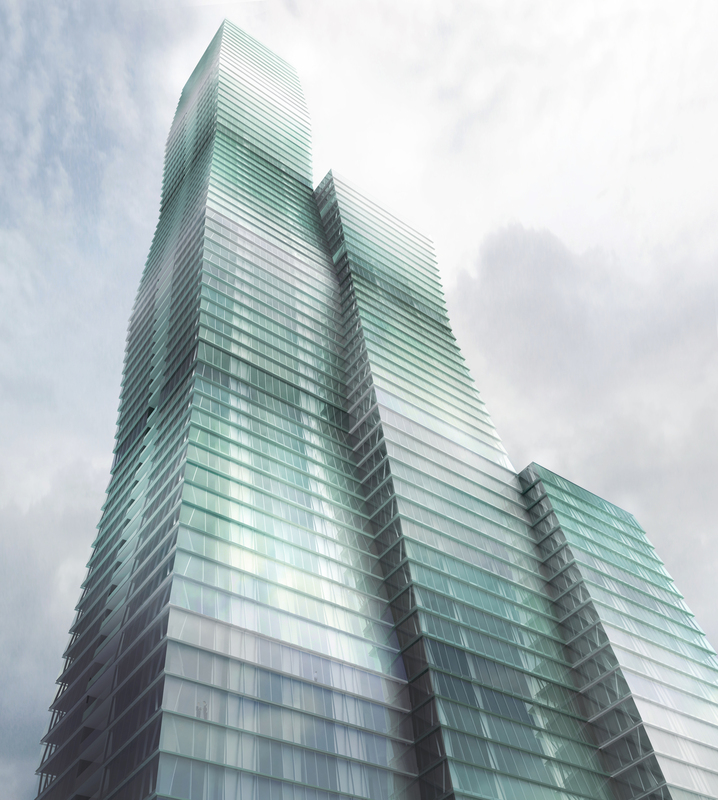 The Chinese real estate giants announced their plans last year without listing an architect; the design team was soon revealed to be local firms Studio Gang Architects and bKL Architecture. 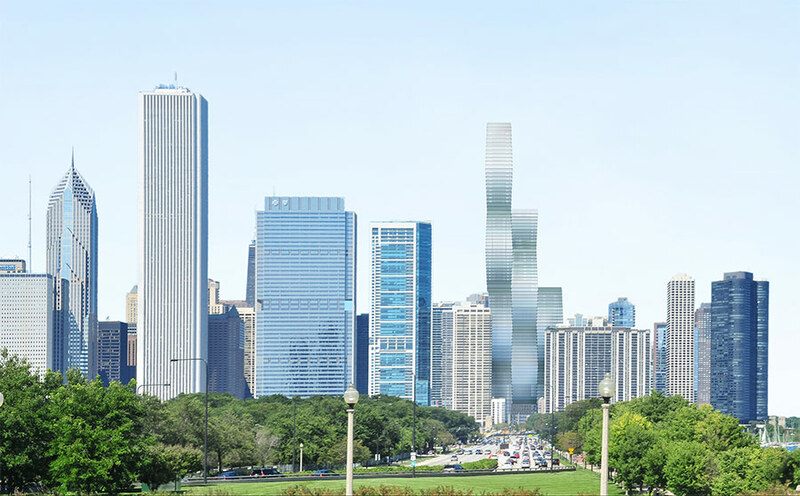 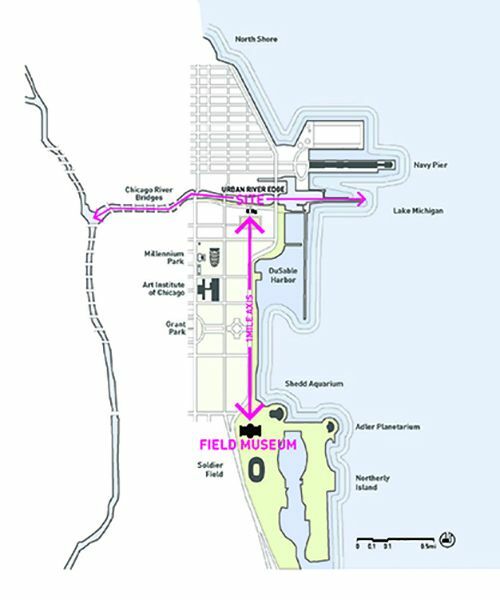 Chicago-based Lakeshore East, which has worked with bKL and Gang to develop the Lakeshore East neighborhood, owns a 10 percent stake in the project.